"A bracing history of lingua francas and their dynamic variation, with a focus on the perfect wave that International English is riding-toward a wipeout.His aim is not pedantic but to pique general readers' code-cracking interest. 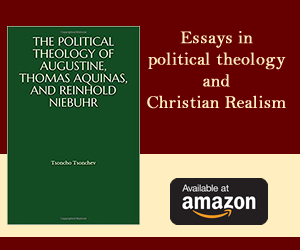 Ostler does not assume specialist knowledge, but he does assume that his readers share his gargantuan and voluptuary appetite for words, languages and history." In The Last Lingua Franca, I make a fundamental distinction between a mother-tongue, a language which is learnt naturally, and without any conscious motive, by a growing child, and a lingua-franca, which is a language learnt deliberately for some purpose. (Evidently one and the same language can be both these things to different learners; but the two concepts characterize different types of language communities, when their speakers are considered.) Languages of wider communication, which are learnt to bridge the gap between native speakers of different mother-tongues, are always lingua-francas; and these are the main subject of the book. I discovered that very little has been written about their life-histories, a gap that I hope I have begun to fill, because it is very relevant to the prospects of the English as a global resource. In analyzing the life-histories of lingua-francas, I discern patterns of growth and decline. When lingua-francas become widely used they are typically seen as long-term facilities, more permanent than mother-tongues. But looking back on the life of these languages, we see this clearly to be an illusion - even where the lingua-franca is as long-lasting as Latin with its seventeen centuries of general-purpose use by Europeans. The book falls into four parts. First, in Lingua-Franca Present, I consider aspects of English today. It is evidently unchallenged at the moment, and the world's favourite language of wider communication. It has become difficult to see beyond its reach. But are there limits to its attractiveness as a global language? There are - and the shoreline of the Indian Ocean alone shows three examples where English has been forced to retrench in the latter 20th century. And is it remaining cohesive as a language, especially since the widespread use by non-native speakers may be undermining the authority of its original sources of expansion? Might it morph into a family of distinct languages? English, it turns out, is like all widespread languages in being diverse on various dimensions - but this diversity is part of it, and known to an extent by all its speakers. A forest of different languages is unlikely to grow out of this: since so many learners of the language have learnt it to increase their range, it would be self-defeating for them to set up their own competing linguistic standards. Then, in Lingua-Francas Past, I show the three major motives which have created lingua-francas: empire, trade and missionary religion. Many different languages are described and narrated in these chapters, but the largest role belongs to Persian - little celebrated in the West, though its cosmopolitan career goes back 25 centuries. Curiously, despite originating as the language of the realm of Cyrus, Darius and Xerxes, Persian was never actually spread by this ancient empire. Instead, because of strange indirect practices in correspondence, spoken Persian lay largely hidden by written Aramaic, which had originally been an unrelated language from Syria in the west. Persian proper only became the lingua-franca for the domain of its birth many centuries later, after Alexander had conquered Persia, but his successors had lost it. It was displaced again when the last truly Persian empire, the Sassanians, fell to the Arabs. Yet the wheel of linguistic fortune kept turning. Persian's humbling by Arabic, which lasted 300 years and more, and its reconfiguration as "New Persian" fit for a Muslim realm, set it up to be seen by later conquerors, the Turks from Central Asia, as the quintessence of civic efficiency and refined cultivation. As a result, it sustained Muslim empires from the Balkans to Bengal for most of the 2nd millennium AD, only being displaced in the 19th century by the rise of alien powers from Europe, the British and the Russians, whose own lingua-francas cramp its style to this day. Linguistic prestige may become detached, for a long time, from political or commercial might. Lingua-francas are mostly the preserve of social elites, so one way that they may decline is if the elite succumbs to the rise of a competing elite - or indeed of the masses. This process (only one of many paths to language loss) I call Resignation: it occurs when the community which has established the lingua-franca ceases to be significant in society. This covers such diverse cases as the loss of academic German in the midst of the 20th century, the displacement of Sanskrit by Persian in Mughal India, and - most unaccountable of all, since there was no obvious winner - the curious extinction of Latin in early modern Europe. Finally, in Who's in Charge Here?, we return to the present and impending future, and consider if there are other languages poised to take over from English. Much of the world which uses large languages (the "Big Beasts") is growing faster than the Anglo-Saxon states, and cultural diplomacy is making them widely available to learners. But these languages are all strongly regionalized in current use, and so it less likely that any of them will be promoted to the status of a global lingua-franca. Nevertheless the relative use of English is set to decline, as the motives for using it fall away. What will happen? Might it survive as a "wimbledonized" language of convenience, profiting indefinitely, like the Lawn Tennis Championships, and the financial centre of the City of London, from past glories, while its major players are no longer native to it? My sense of the most likely outcome is that the unprecedented global predominance of English will be followed by something else just as unprecedented. The revolution in information processing that has occurred during the reign of English has had an interesting side-effect: a growing, and soon surely universal, availability of translation and interpreting support, mediated through the Internet. When technology takes the strain, there will - in future - be no need for any lingua-franca at all. On this model, the future will be much more radically multilingual than the past, but only because nobody will have a practical need to learn foreign languages. After universal English becomes a mere memory, each will find expression in the language that comes most easily, without thought of the audience's language. But the world, in all its diversity, will still understand. 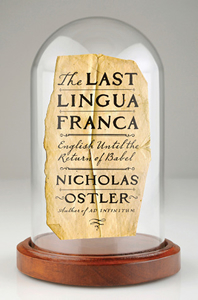 A scholar who has studied over twenty-six languages, Nicholas Ostler has degrees from Oxford University in Greek, Latin, philosophy, and economics, and a Ph.D. in linguistics from MIT. Much of his career was spent in the development of language technology. He is now chairman of the Foundation for Endangered Languages (www.ogmios.org), and lives in Bath, England.